The skin is the largest and most vulnerable organ of the body. Promoting skin health is a huge challenge for residents in LTC homes as they are at increased risk for the development of wounds and complications from skin breakdown. 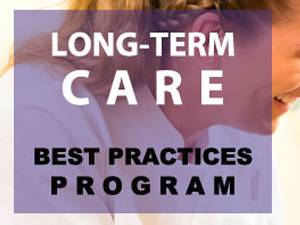 The webinar will focus on resources/tools that will support staff in LTC homes to identify interventions to maintain skin health, prevention, assessment and management of skin injuries. Assess your current practices and identify which recommendations from best practice guidelines will address the gaps in practice . The resources and tools included in the toolkit topic provide evidence-based strategies for practice change, education, quality improvement, and policy recommendations.